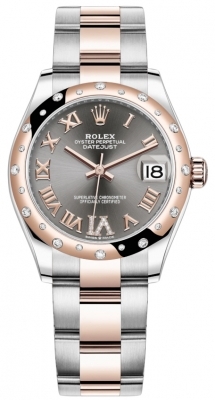 Polished rose gold bezel set with 32 round diamonds. 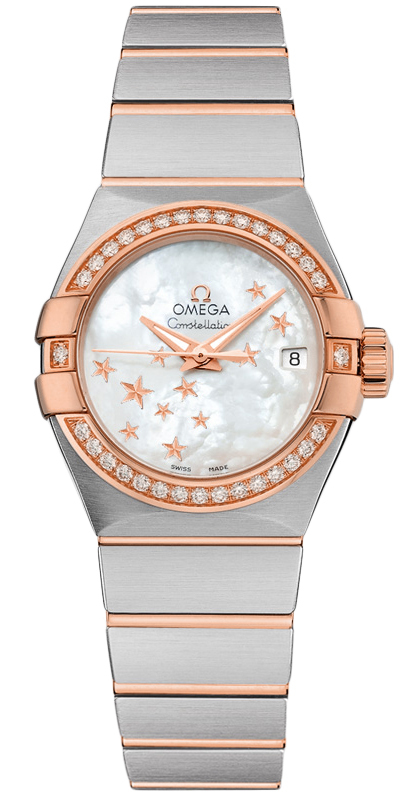 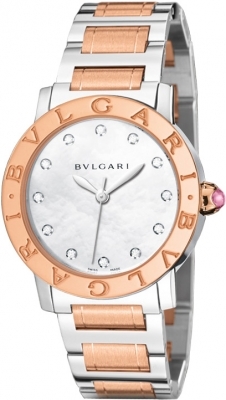 White mother-of-pearl dial adorned with bevelled polished rose gold stars. 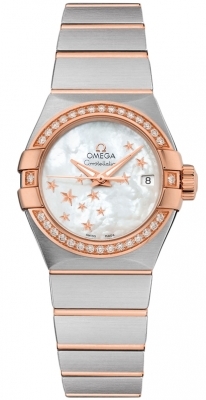 COSC-certified Omega Co-Axial Escapement movement - Caliber 8520 with a rhodium-plated finish. 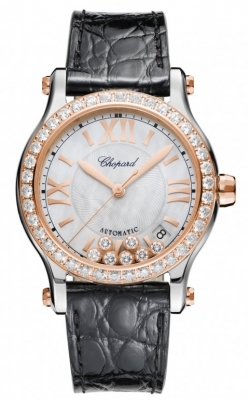 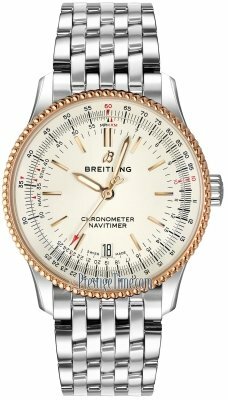 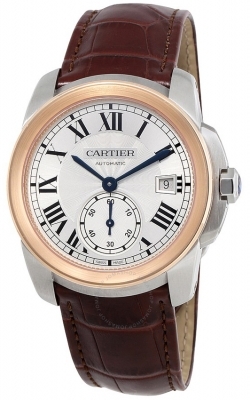 This ultra-precise movement features automatic winding in both directions and has a power reserve of 50 hours.